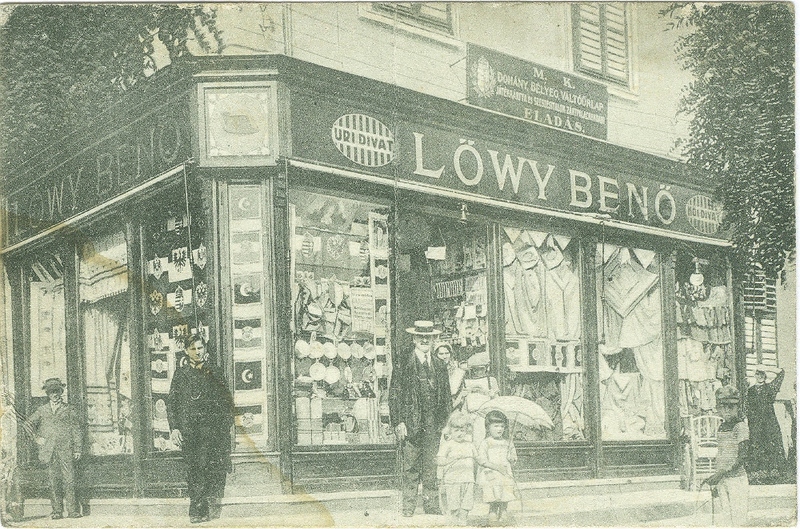 Benö Löwy's family had their store where the District Commission stands today. After it was confiscated in 1938, the building was used for interrogations. At the end of the 19th century Oberwart had a thriving Jewish community that was destroyed in 1938. The Jewish men and women of Oberwart were deprived of their rights, dispossessed and driven away; they were forced into emigration or murdered in the Shoa. Only very few returned. The Jewish community has not been able to reconvene. This plaque is a station on the Oberwart Path of Commemoration and Education and symbolizes that a part of Oberwart's population is missing. Each plaque stands for men and women who once belonged to Oberwart's community and were expelled from it during the Nazi period.